Doesn't my dog, Kitsune, look pretty relaxed in the picture to the right? Would you believe that that picture was taken while he was getting his nails trimmed? It's true! I use a Dremel to trim his nails about once a week, and Kitsune isn't the least bit concerned while I'm doing it. Most of the time he just spends the time I'm working on his nails relaxing and enjoying all the extra attention. 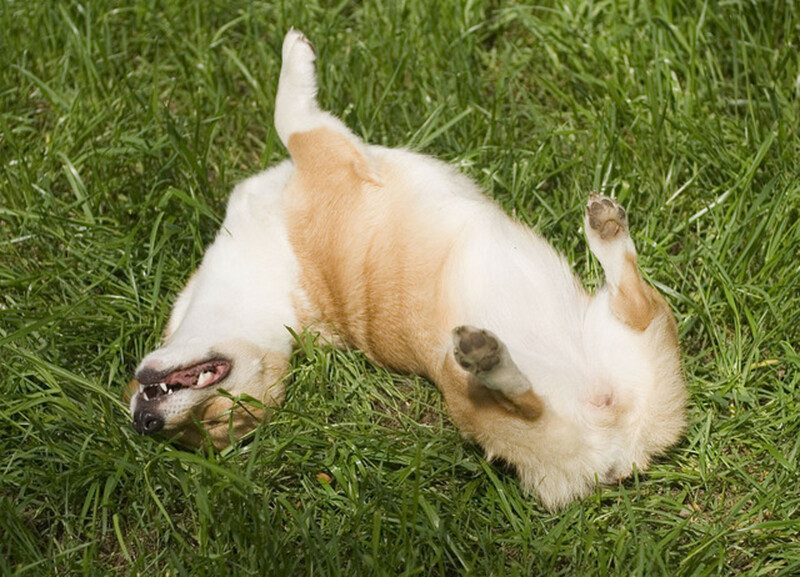 It's a far cry from the stress and panic that some dogs go through over getting their nails trimmed. My dog is relaxed, I'm relaxed, and we can use our grooming time to strengthen our bond and get in some extra snuggling. Use treats, toys, and plenty of praise to help your dog to build up positive associations with having the nail dremel around. Probably about the hardest part about using a Dremel to trim a dog's nails is getting started. 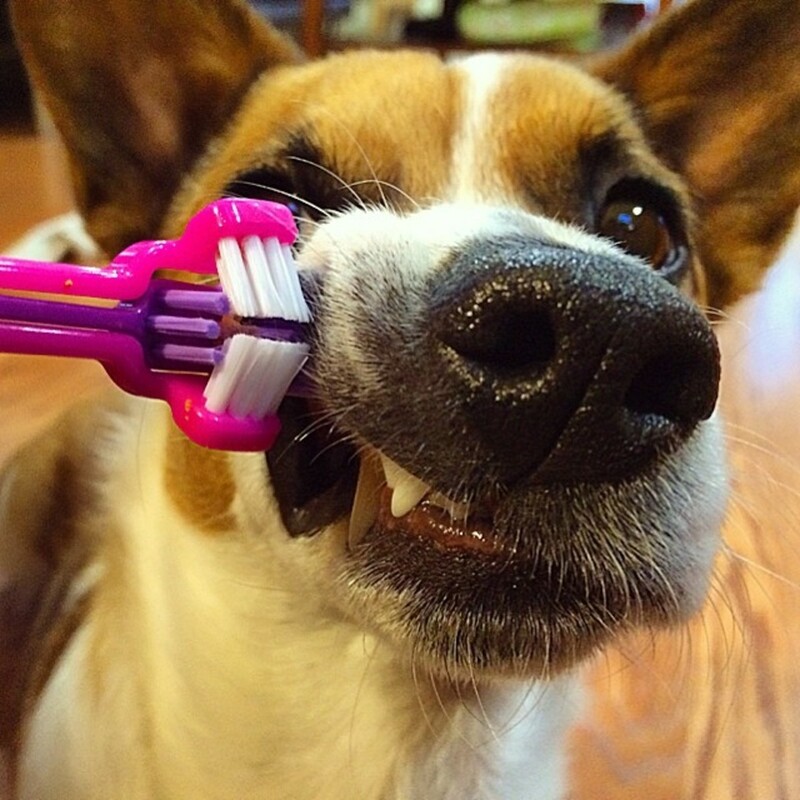 Once you and your dog are used to the routine, using a Dremel is a breeze. But it's important to take the time to get your dog used to having a Dremel used on him/her. Like with anything else that is new to them, using a Dremel on their nails can be a scary thing for a dog if you don't take the time to get them used to it. Dremels make sounds (some are louder than others) that your dog is probably not accustomed too, and although if used correctly they do not hurt your dog's nails, it probably feels a bit strange to them to have something moving against their nails. If you are interesting in learning how to use a Dremel to trim your dog's nails, here are some tips to help you get started. Start by getting your dog used to having his/her feet and nails touched, if you haven't done this already. This works best if you are starting with a young puppy, but should work for any age dogs. 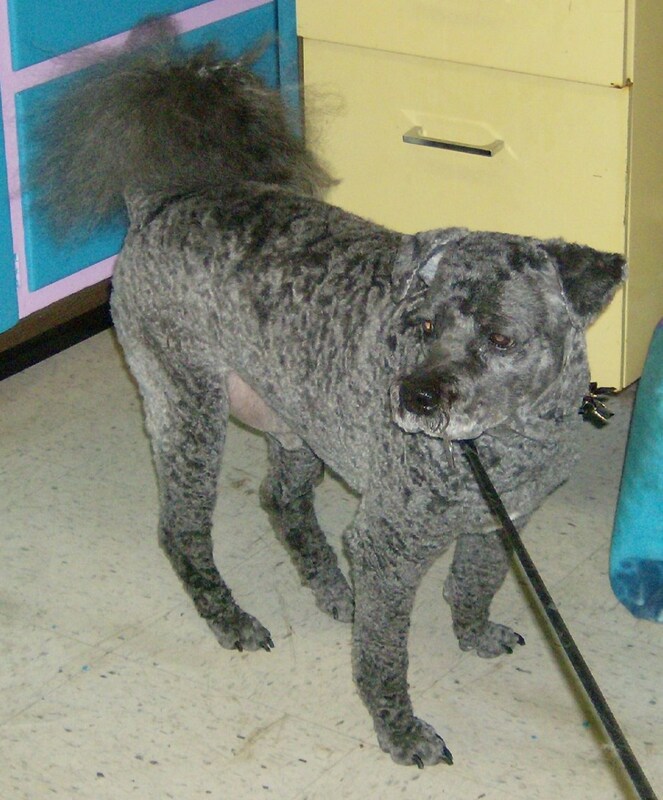 For older dogs, they may take longer to get used to having their feet touched especially if they have had negative experiences with getting their nails cut in the past. 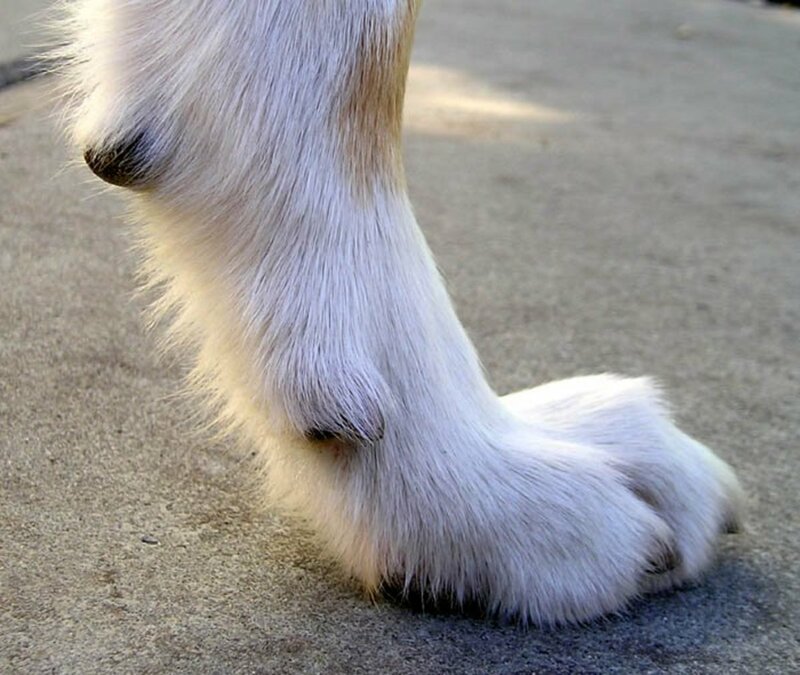 While you're working on getting your dog used to having his/her feet touched, take the time to research and learn how to properly grind dogs nails. Learn how to recognize the quick; this is the part of the nail that will hurt and bleed if you cut or file it. Start introducing your dog to the sight and sound of your dremel. When you take the dremel out around your dog, make it a positive experience. 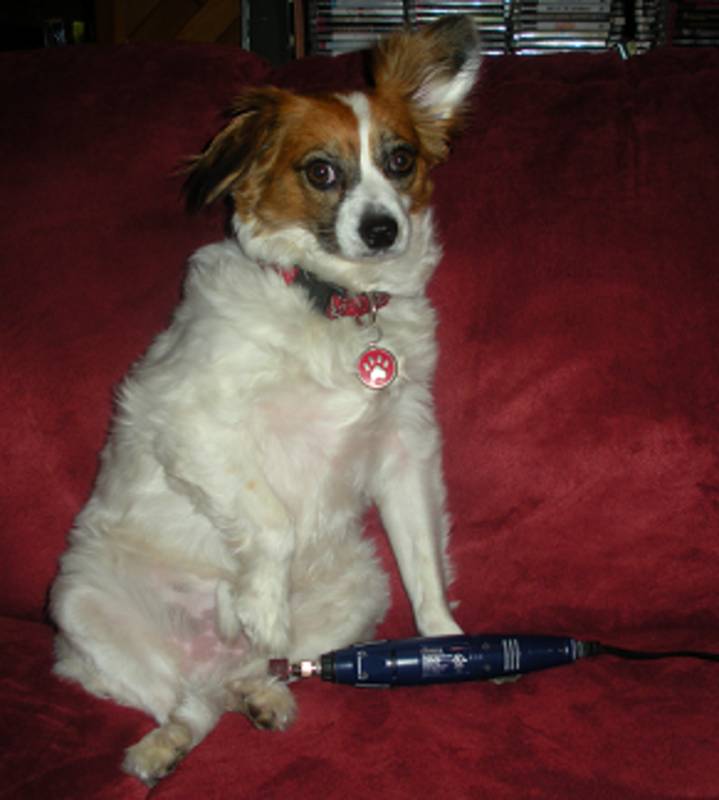 Use treats or toys to help your dog associate pleasant things with the dremel. Do not turn the dremel on yet. Let your dog smell and investigate the dremel if he/she wants too. When your dog is used to the sight of the dremel, try turning it on. 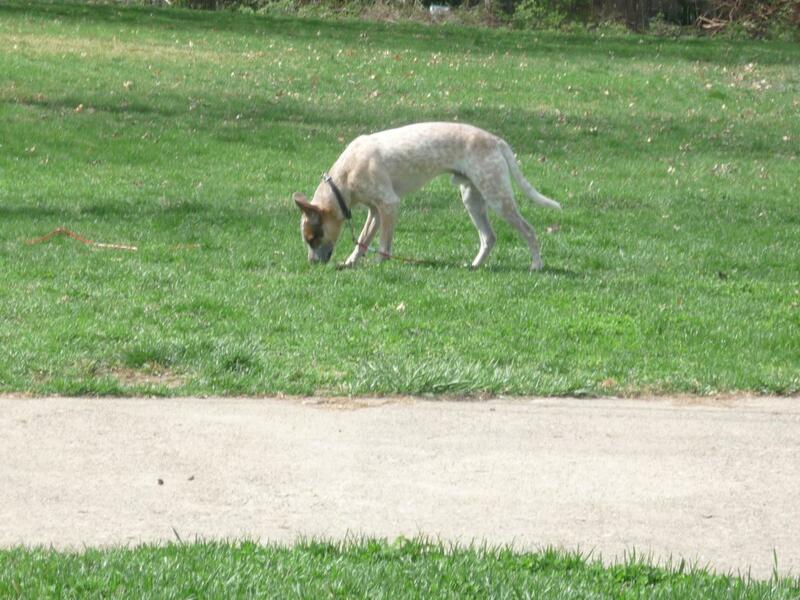 Let your dog listen to the sound it makes and teach him/her that the sound is not scary. Again, use treats or toys, whatever your dog prefers, to build up a positive association with the sound of the dremel. Hold the dremel up next to your pet's paws but do not actually start grinding the nails yet. Once your dog is used to and not afraid of the sound of the dremel, it's time to start getting them used to using it. 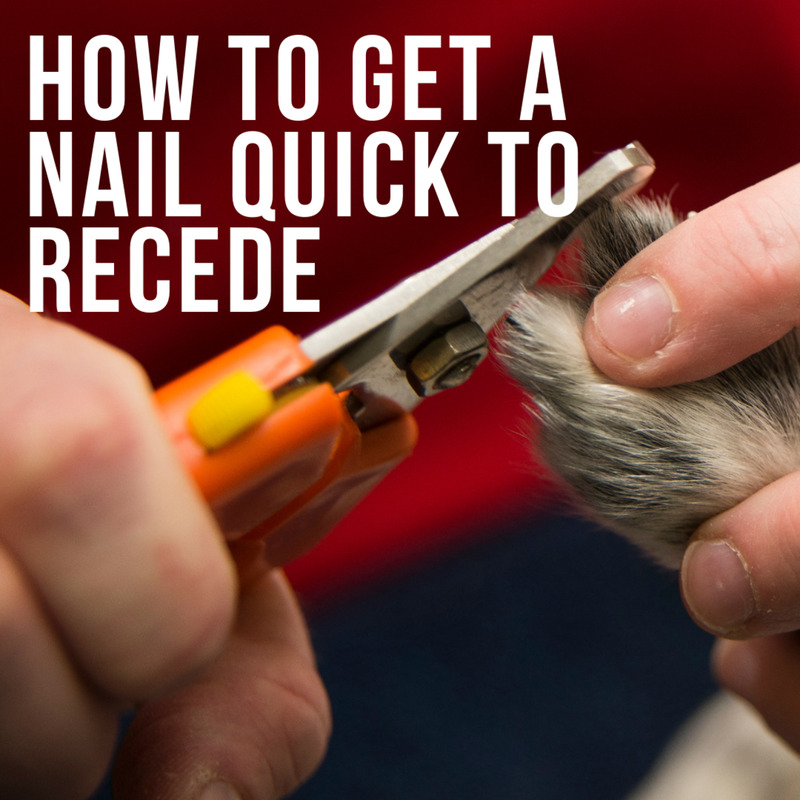 At first, don't worry about doing a perfect job at filing the dog's nails. Very gently start touching the tips of the dog's nails to the grinder. Grind a very small amount, then turn it off again. Keep things very positive. Make sure to offer treats and plenty of praise, even if all you do is grind one or two nails. With each session, slowly work up to grinding nails shorter and doing more at a time. Eventually your dog should be able to sit calmly for however long it takes you to finish all his/her nails in one session. Remember to listen to your dog. If he/she is acting nervous or fearful, try to figure out why. Did you spend enough time getting them used to the dremel? Are you grinding their nails too short and hitting the quick? Don't rush things, take things at whatever pace you and your dog are comfortable with. In time your dog should be just as relaxed as mine while getting his nails trimmed. 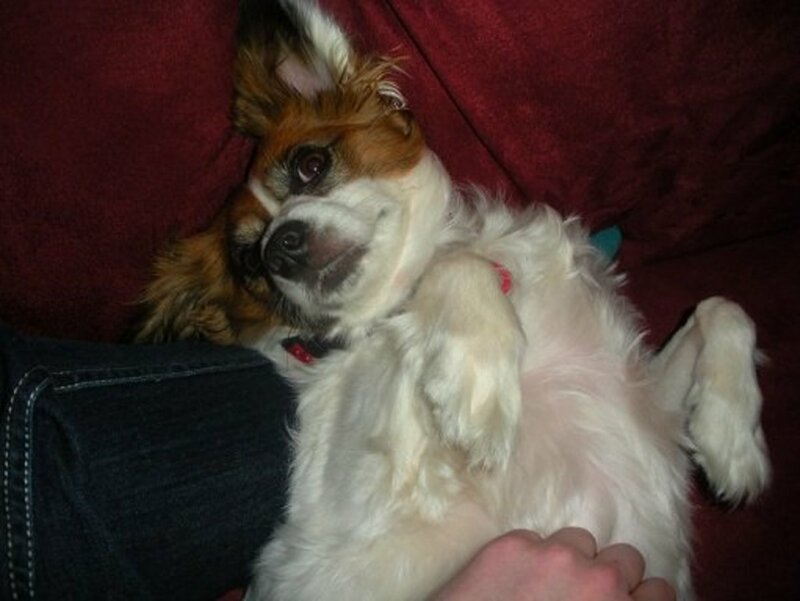 Nail Trimming for Dogs: How Can I Cut Fido's Nails? This isn't helpful at all! Which grinding drum do you use? What speed setting? Great idea. Thanks for sharing this! Glad you found the info useful! :) I find that using a dremel on my dog is soo much easier than clipping his nails the old fashion way. It may take some time for your dog to get used to it, but hopefully it works out for you! Very useful! I never even thought about using a dremel. My dog is about 120 lbs. and the last time I tried to trim his nails, he sat on me! I am going to try this and hopefully I will get better results. Thanks!